For many people seeking asylum, keeping food on the table is getting harder and harder. Everyday the Asylum Seeker Resource Centre is seeing more and more vulnerable people come through the doors who have no income, no work rights and no where to turn to. Over 90% of all people seeking asylum in Australia run out of food each week with no money to buy more. The ASRC Foodbank is now supplying groceries to almost 700 people a week. Staffed by a team of volunteers, the Foodbank provides people seeking asylum the chance to receive food support with dignity. While the ASRC is committed to meeting the needs of the community, we are running out of food daily. Many people in the community have no permanent or safe housing or even if they do, they don’t have access to a kitchen to store food and cook meals. Many are already homeless. 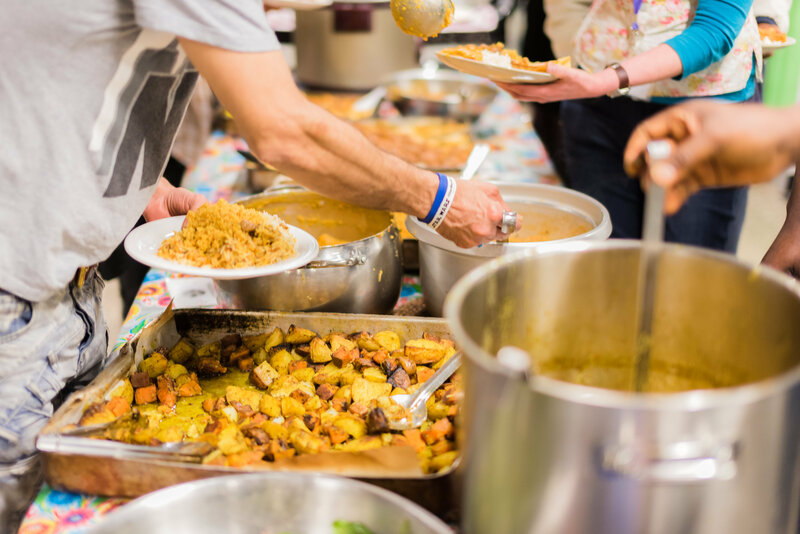 The ASRC Community Meals Program feeds over 200 people lunch everyday, with an extra dinner on Wednesdays. For many this is their only hot meal for the day. 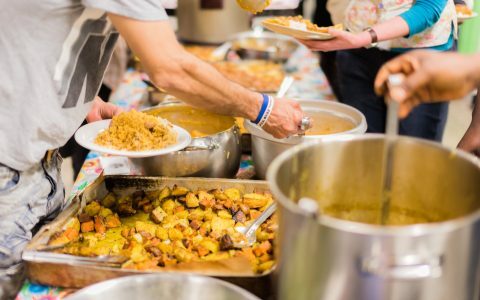 Not only does community meals ensure people seeking asylum are receiving at least one nourishing meal a day, it provides an environment of unity, inclusion and support where they can come and connect with their community. Over the past 12 months the ASRC Food Program has seen an unprecedented rise in demand. When you donate to the ASRC you help provide groceries and hot meals to hundreds of vulnerable people every day.